Norway is one of the few countries in the world that has been receiving various accolades year in and year out. In 2017, Norway was considered the “Happiest Country in the World” by LexisNexis. Norway also never fails to make it into the top tier in various lists detailing the most beautiful countries in the world. The Legatum Prosperity Index is an annual ranking developed by the Legatum Institute, whose mission is to “create the pathways from poverty to prosperity, by fostering Open Economies, Inclusive Societies and Empowered People.” This index shows how countries from different parts of the world have veered toward or away from a higher standard of living or prosperity. Norway ranked first in terms of safety and security. This pillar measures how well citizens and properties are protected. This also evaluated by how safe and secure the citizens feel on a personal and national level. This shouldn’t be a surprise since Norway ranked second on the 2018 Gallup survey of the world’s safest countries to visit. The survey showed that both locals and tourists feel safe in this country. Additionally, Norway has a relatively low crime rate, especially when compared to other Western European countries with large populations. Norway is a peaceful nation where civil unrest is almost nonexistent. Norway follows a parliamentary constitutional monarchy system where the executive branch is headed by the prime minister and exercised by the king's council and the cabinet. The country got a high rating for the adherence of its citizens to the rule of law. In addition, Norway received high ratings for the quality and relevance of regulations they have implemented. Lastly, the nation scored high in terms of the efficiency, impartiality, and accountability of its government. The country also ranked third in terms of social capital, a pillar which measures the extent to which people trust and support one another and have the support of their family, friends, and other people. It evaluates the depth and quality of personal relationships, social network support, norms, and people’s civic participation. In Norway, a study was released in 2017 showing that there has been little change in the number of locals who have people whom they can count on for help when the need arises. With this in mind, it is safe to say that Norwegians have good personal and social relationships and they are more likely to help someone in need. They are also more open to making cash donations and volunteering to aid others. All these efforts go a long way in pushing and maintaining the country’s prosperity status. In terms of education, Norway ranked fourth. This pillar takes into account the country’s quality of education, the people’s access to education, and human capital. The Norwegian public education system is considered one of the best in Europe. The general level of education in Norway is even higher than the European average. The country has done a great job of maintaining the quality of education in both public and private schools. Because of this, many Norwegians are well-educated and the number of adults with at least an upper secondary level of education continues to grow. 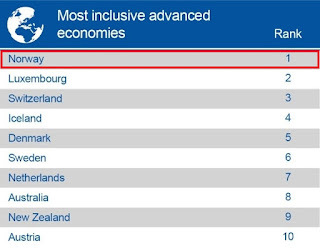 Lastly, Norway ranked seventh in terms of economic quality. 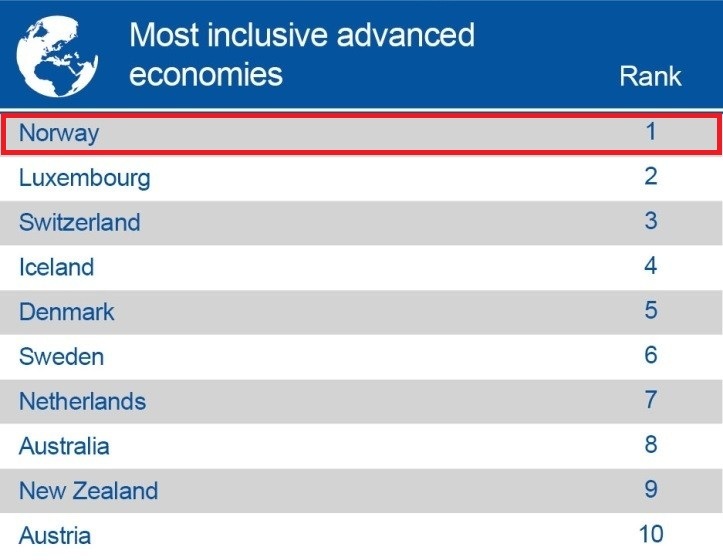 Norway is one of the few countries with an inclusive economy that continues to perform well. The country has the lowest income inequality score in the world. Because of this, Norway has a number of the best companies to invest in the long term. The country is also successful in translating economic growth into high and rising living standards. Moreover, Norway is a consistent performer in terms of creating jobs for the majority of the population and reducing poverty. With its great track record and continuous effort, Norway is on the right track to landing on the top of this year’s prosperity index as well. Investing can be an exciting venture to undertake and a great way to boost your overall income. 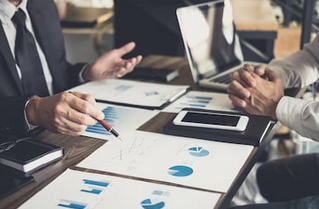 Whether you’re trying to save for a more financially stable retirement or you simply want to reach certain financial goals, investing is something everyone should consider at some point in their lives. When choosing the best investment to undertake, there’s a range of options you could go for, with different benefits to each. From property to stocks, here’s a simple guide on how to choose the best type of investment for you. One of the most popular investment types is property investment, with over two million property investors in the UK alone. There are a whole host of benefits that come with investing in property, the main ones being the opportunity to generate more immediate returns on your investment along with large returns from capital appreciation. If you choose to purchase a property for buy to let purposes, you’ll be able to generate a consistent amount of income each month through tenants rental costs, with higher rental yields bringing in better returns. Then, once you decide to sell your property later in life, you could find that the property has actually increased in value thanks to capital growth, leaving you with an attractive return on your initial investment. Of course, while property investment can offer some attractive prospects, this is largely dependant on the area you choose to invest in. In London, for instance, the property market is in a declining state, with a decrease in house price growth and low average rental yields of 3.05%. This means that those investing in a buy to let property in the capital aren’t likely to see the returns they’d like. In property hotspots like Liverpool and Manchester, on the other hand, the property market is thriving. Those who choose to invest in these cities can expect high rental returns, a strong level of rental demand, and a lot of potential when it comes to capital appreciation. Some property companies based in the north-west such as RW Invest even offer opportunities with rental yields as high as 7 and 8%, with much more affordable prices than many other UK cities. While property investment can be a great path to go down, stocks and shares are often the preferred investment type for many. With this form of investment, you’re able to buy small fractions of a company which entitles you to a return on investment if the company’s value rises over time. While stocks and shares allow you to spend less money on an investment, there’s often more risk involved compared to property. Without the right knowledge, you could come out of your investment with less money than you started with. For those who don’t have much cash to spare but are keen to get involved with this type of investment, a stocks and shares ISA is a good option. A number of companies such as Moneybox have started developing app’s for this purpose to provide an easy and hassle-free way for people to try investing, instantly investing small amounts of users money into global companies through simple tracker funds. There’s certainly a lot to think about when deciding which investment route to take. To put things in perspective, it’s worth comparing the track record of each investment type. For instance, between 2000 and 2017, research showed that the average UK home’s value significantly outperformed the Financial Times-Stock Exchange. While both investment types can bring good results for the investor, information like this suggests that for those looking to make a big impact on their financial status, investing in the UK property market may be the best route to take. Market research has been around for a long time. It comes in many different forms and has been used in different ways over the years. But it is meant for one thing only. It helps increase the profitability of your marketing efforts through testing and fact-finding. Until a few years ago, this research had been done in the same basic way, but the Internet has changed many things. 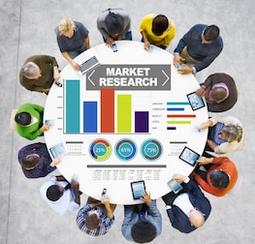 What has been the impact of the Internet on market research? The Internet has brought millions of people from all walks of life within reach of any marketer. By doing this, you have provided a new platform on which to test new and existing products and services. People have taken advantage of this, not only because of the speed with which they can try things, but also because of the diversity with which they can be tested. Something else was born of all this online marketing research, the affiliate marketer. It is impossible for any online business to cover all its bases. There are too many variables involved to reach all the people in your target market. That is why many of them have resorted to promoting affiliate marketing business on the Internet (online). In doing so, they are reaching an even broader market that is still targeting their products or services. Even though they are paying a high commission to their affiliates, they can still retain the customer and get all the profits from the back-end products they can offer. Internet has certainly changed the way many people do business. However, it all comes down to market research and now to the speed at which it can be done. As the Internet continues to evolve, we will see even more changes in the way research is being conducted and promise to help us all in our marketing efforts. commercial objectives, target audiences and sector dynamics to create new brands and focus existing ones. Visit https://www.morarhpi.com/ for more information and services. When you’re just starting out in life and you don’t have a credit score at all, the whole concept of having credit, building it, and maintaining it can seem very daunting. Fortunately, there is quite a lot of information available on how to maintain good credit from the time you pull your first credit report. However, first, let’s break down what a credit score is and why it matters. Your credit score is also called your FICO score. FICO stands for ‘Fair, Isaac, and Company,’ which was founded in San Jose, California back in 1956. It developed the score that we use today to decide whether someone is “creditworthy”. This is what a lender looks at when they’re determining whether to give you that car or home loan that you want. Your FICO score takes into account the types of debt that you currently have, how much you owe on those debts, how many new accounts you’ve created recently, and how long you’ve had any type of credit at all. The lowest score you can have under FICO is 300 and the highest is 850. If you want a good chance at having credit extended to you often, you’ll want to see your score above 650. How Do I Start My Credit Off Strong? When you start out, you don’t have a credit score at all. 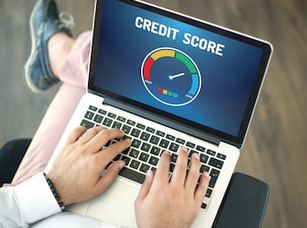 Until you’ve had credit extended to you and you’ve made use of it for at least six months, you don’t have a score. If you do as you should during that first six months, though, you could pull your credit score for the first time and be surprised with a score of over 700. Do poorly, though, and it could be significantly lower. What is important to know at the beginning of building your credit is that whatever mistakes you make early on can hurt you more. Because you don’t have much history, small mistakes can hurt big and require you to later perform credit repair. There are a few different things that you can do to keep your score up above that 650 mark. The very first thing that you’ll want to do is understand what does and does not affect your credit score. Your credit score isn’t going to take into account the payments that you make on your utilities every month. The fact that you paid them on time isn’t going to help your score. This includes electricity, rent, water, internet, cable TV, gas, etc. These things aren’t reported to credit bureaus unless you’re very late or if you’ve let the bill go so long that they send it to a collection agency. At that point, you’re looking at a negative mark on your credit report due to it being in collections. Your bank doesn’t report overdraft fees to credit bureaus either. Bouncing a check for groceries isn’t going to hurt your credit score. However, if you allow the overdraft fees to remain until the bank turns the balance you owe over to a collection agency it will hurt you. When someone does a soft inquiry on your credit, such as for a background check to get a job, it doesn’t negatively affect your credit score the way a hard inquiry does. Soft inquiries don’t hurt your score because people and companies don’t need your permission to run them, you’re the only person who can see them on your report, and they’re not a request for credit. Whether it’s a credit card or a car loan, you always want to make these payments on time. Your credit lender will report to the credit bureaus when you’re late and because payment history accounts for around 35% of your credit score, consistent late payments can hurt your score. When you have a credit card, you should only keep up to 30% of the balances available used at any given time if you have to carry a balance at all. If your cards have a combined limit of $3,000, for example, you only want to have a maximum of $1,000 showing owed at the end of your monthly billing cycle across all of them. Ideally, however, they should be paid off every month, even if you have to use them again. The reason for doing this is that credit card companies will report the balance that you owe at the end of your statement period to credit bureaus. You don’t want them to report a higher amount than 30% owed on your cards, but reporting 0% is the absolute best for your score both short- and long-term. If you don’t pay off credit cards every month and the balances keep going up, your risk assessment goes up even further the longer you let this happen. The reason for this is if you are being more dependent on revolving credit and your balance keeps going up, you’re revealing yourself as slowly drowning in debt to your potential lender. When you apply for credit, you’re allowing a company to pull your credit report so they can decide whether to lend to you. This shows as a ‘hard inquiry’, which always knocks a few points off your score. If lenders see that you’re applying for credit too often, it makes you appear desperate for credit and gives you away to lenders as a higher risk. Long term, you want to have more installment credit than you do revolving credit. For example, a car loan for $20,000 is considered installment credit, while a credit card is revolving credit. If your installment credit is significantly higher than your revolving credit, lenders know that you’re not desperate and living off credit cards. 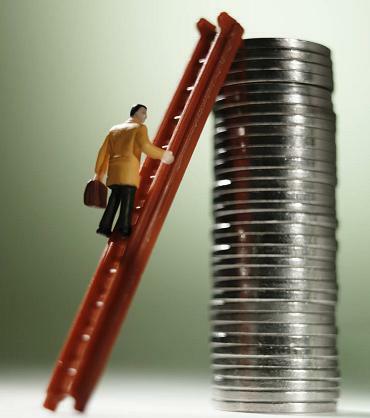 Most lenders will consider you a high risk if your debt to income ratio exceeds 40% in most cases. In other words, if you have an income of $8,000 per month and you have revolving and installment credit in excess of $3,500 per month, you become a higher risk. Even if you’re not really using a credit card that you’ve had a while, it’s not in your best interests to close the account. Credit bureaus consider that old active account and weigh it more heavily than younger accounts. If you do have to close an account for some reason, make sure that doing so isn’t going to increase your debt to credit ratio. You should still only have 30% of your balances or less used after the account is closed. Keeping an eye on your report is a good way to guard against identity theft and credit card fraud. When these things happen, you want to catch them as quickly as possible because they can lead to extremely negative information appearing on your report and lowering your score. Even if you’re not a victim of either of these things, however, you can still benefit from watching your score because sometimes lenders do make mistakes in reporting that you can get corrected. Don’t worry about pulling the report often, though. As mentioned before, it’s a soft inquiry, so it won’t hurt you. If you can follow all of the tips above, you’ll be able to keep your credit in good standing. Stick fast to the rules when building your score from scratch in the beginning, but the key to keeping your credit score high is consistency in making your payments on time, keeping old accounts open, guarding against fraud, and keeping your revolving credit balances low. There’s a good chance that you’ve heard the term negative gearing before. It’s in the news pretty frequently, which is how it’s slipped its way into the daily lexicon. If you’re currently a property investor or are looking to get into that world, then you’ve definitely heard of the term. In Australia, a debate rages about the pros and cons of negative gearing and what the possible benefits and risks that come with it are — for both individuals and the economy as a whole, it’s been a favored strategy for Australian investors for the past decade. If you’re looking for an overview to assist in achieving your dreams of building an abundant property portfolio, read on to learn what negative gearing is and why it can be a positive investment move. Negative gearing is a tax strategy in Australia. The term is used to describe an investment if the net income (after subtracting expenses) is less than the interest on the borrowed money. In other words, an investment is considered negatively geared when the costs of owning it (such as interest on the loan, bank charges, agent fees, maintenance, repairs and capital depreciation) are more than the income it produces (such as rent). Who is negative gearing for? Generally, negative gearing is used by property speculators or those with substantial tax obligations as it offers immediate tax benefits. It can also apply to shares, bonds and other investments. Isn't negative gearing a foolish idea? On the surface, negative gearing can seem like an impractical way of investing. After all, why would you want the costs of maintaining an investment (such as a property) to cost more than the revenue it is producing? Therefore, the critical benefit connected with negative gearing is that any loss can be negated against other income earned, such as the person's salary, which in turn reduces their taxable income and, consequently, their payable tax. As a strategy, negative gearing can work because it means that a person will be earning less income, resulting in having to pay fewer taxes at the end of the financial year. • Revenue deductions — Examples are interest on the loan as well as continuous maintenance and repeated charges (council fees, bank fees, body corporate fees, cleaning expenses, gas, and water). • Capital items — Examples are hot water service or white goods (which are subject to depreciation). However, the investor must declare the expense over a series of years. For this reason, the Taxation Department set depreciation schedules from a few years to more than 15 years. • Building allowances — Additionally, investors can claim depreciation of capital works, particularly for building and landscaping. The current rate is 2.5% over 40 years. In short, there is a lengthy list of expenses and charges that you could potentially be able to claim on your tax return. Besides, even with negative gearing, property investors are still potentially in a position to make a long-term profit on their investment if the value of the property rises to a point larger than the expenditure costs. What are the risks of negative gearing? As with any other investment strategy that you may be interested in pursuing, there are risks associated with negative gearing. As a potential investor, you must reflect on the inherent risk that comes with borrowing money for an investment. This means that you should thoroughly examine your ability to reimburse the shortfall and proceed to maintain the investment loan even if it stops making any resemblance of a return (for example, if the tenants move, or for another unexpected circumstance). Other cons of this type of investment are that it can drive up prices on existing houses and that it does little to generate new housing supply, which in turn means that it favors those in the high-income bracket and makes it more challenging for first-time home buyers or those in the low-income bracket to have access to the property market. Before you opt to make any investment, you should speak with a professional financial advisor to discuss which strategies are aligned with your personal circumstances and risk preferences. Have you ever considered using negative gearing as an investment strategy? Do you think you ever will? Why or why not? Let's start a discussion in the comments below! AUTHOR BIO: Rob Chaloner is the Founder and Managing Director of Stratton, and is passionate about smarter ways to buy and finance cars. With Stratton, he's working to help Australian buyers disrupt the traditional car buying, financing and insurance markets through smarter products and online services. Your monthly salary typically covers three types of expenses: fixed, variable, and discretionary. If your monthly earnings can’t pay for all these and some other unexpected expenses, you will need to look for an additional source of funding. A personal loan can help you pay for all these expenses if you are having a hard time doing so. It can also serve as a cash cushion and as an emergency fund which you can dip into whenever you need to. To get a loan that will meet your needs and payment capability, you need to shop around for the best product first. Before you begin your search for the best personal loan, check your credit score first. There are various online tools you can use to be able to do this. If your score is a bit low, certain websites can give you tips on how to improve it. Make sure you complete this step before you start shopping around for a personal loan provider. Keep in mind that if you have a high score, you will have better chances of getting great deals and lower interest rates. In case your score is low, consider applying for a loan later until your credit score has improved. A good start is to pay off your credit card balances first. Chances are, you already have an account with one or two banks. 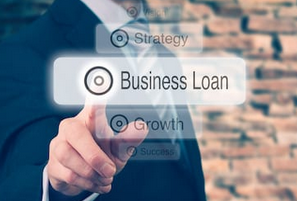 You can start your search for a suitable product by finding out the different types of personal loans your bank offers. Ask your bank representative what loan amount you can get and if your credit score can qualify you for a low-interest rate. Check the terms and conditions as well. You can also ask your credit card provider if they have some personal loan offers, too. You may even be offered the chance to consolidate your credit card debt with the loan which is an option worth considering. Going online is the easiest and most convenient way to start searching for a good loan product. However, you have to know which banks and lenders offer legitimate deals. Some online lenders, for instance, target people with poor credit by promising them loans without checking their credit history. Avoid these sites since all loan applicants will undergo a credit check. They may even charge big fees or request loan payments in advance. When shopping for a personal loan, simply shop. Study the different offers and ask the different providers for additional details. However, do not immediately apply for products that you find interesting. When you submit your loan application online or at the bank, the lender will immediately check your credit report and history. Your file receives a mark whenever this check is carried out. If you get too many marks from your multiple loan applications, your credit score will go down further. Because of this, lenders will see you as more of a credit risk. Your loan application will likely not be approved or you will be offered a higher interest rate. If you have a good credit score, you can apply for a high loan amount which the best banks will be happy to offer. However, you don’t have to get the highest amount possible. You need to determine a suitable amount that will cover your current and possible needs in the future. In addition, it should be something that you won’t have difficulties paying for every month. It is also best to look beyond monthly payment amounts if you’re still shopping around. It is often better to get a two-year loan with a higher monthly payment than a five-year loan with a smaller monthly fee. This is because the longer you take to repay the money you borrowed, the more a loan will cost you in interests overall. Once you have a list of the best loan products you can qualify for, make sure you know all the fees that come with each. Lastly, before submitting your application, read the document properly. Ensure you understand all the terms and conditions, and that they match the ones that the lender advertised and had been discussed with you by the representative. If you are unsure about anything, get in touch with a representative of the bank or lending institution to get additional information or a clear explanation. A personal loan can help you out during your time of need. But do remember that you will have to repay the loan and, as such, you have to be careful in choosing a loan product. You have to be 100% sure that you will get an amount you are comfortable with and won’t have difficulties making monthly payments for in the next few years.